There’s nothing better than opening Instagram and finding your feed filled with furry goodness. This being Orange County, of course we have our fair share of four-legged social media celebs with dedicated followings. Whether you’re interested in the adventures of a not-so-little miniature pig, a Yorkie with a pineapple updo, or two rescued cat brothers, here’s a list of 12 accounts worth checking out. In addition to his fashionable hairdo and a wide variety of outfits, this little Yorkshire terrier always wears a smile. With 8.9 million followers, this perfectly groomed Pomeranian is the most famous animal on the ’gram. 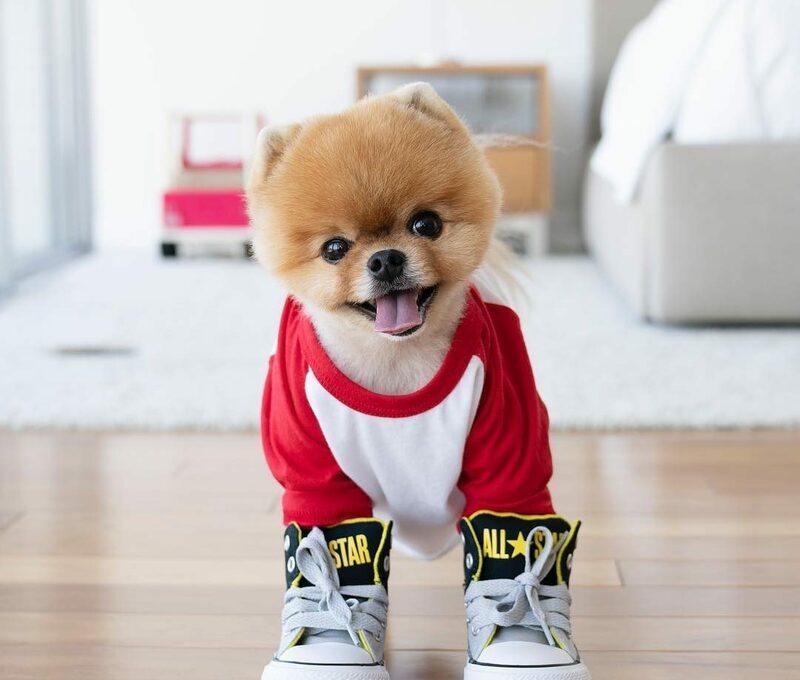 Often posing alongside celebrities and social media influencers, Jiffpom never fails to rock a cute, colorful outfit. Often seen side-by-side, the dachshund brother and sister have entirely different personalities; while Piper is hyper, Dash is laid-back. This French bulldog’s natural ability to pose shines through whether he’s impersonating Gene Simmons, rocking his gold chain, or chilling in the arms of friends and family. He’s also known for #TongueOutTuesdays. Baby Banks the miniature pig is one of many animals featured on this Instagram account. Other Zen Zoo inhabitants include a tortoise, parrots, bunnies, chickens, and a dog named Emma Zen. Jedi is a miniature schnauzer whose amazing beard and serious look are as appealing as the witty captions found on each post. These two rescued cats are never ashamed of their brotherly love; you’ll often see them intertwined. This Doberman pinscher is a seriously regal beast. You will often find Zorro playing catch outside, occasionally with a Nerf gun. Coqueta La Diva is a boujee Maltese. The custom Bentley stroller, visits to the Beverly Hills Hotel, and yacht rides are all a part of her upscale lifestyle. With more facial expressions than you can count, Cory loves to wear many hats and is always ready to crack a smile. One of the best local surfers on four legs, Sugar is a little rescue with big skills and a collection of surfing medals.